E_News. 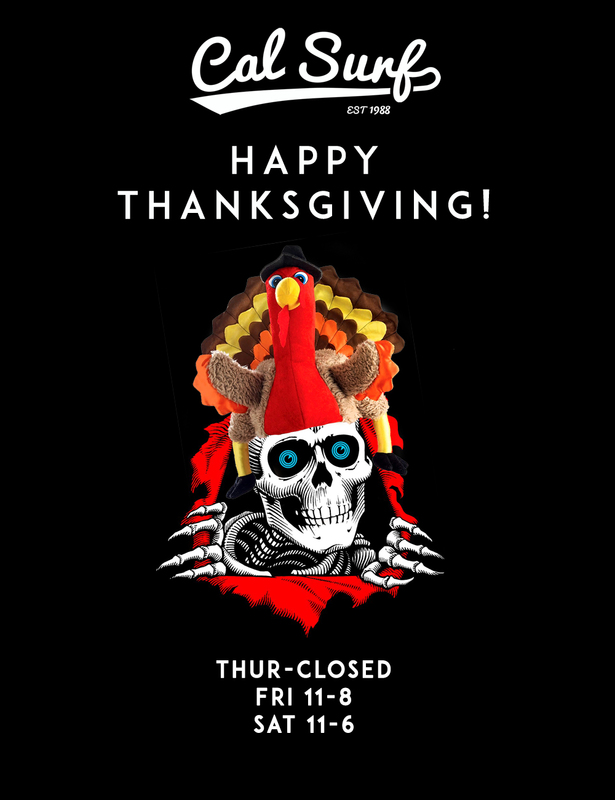 Happy Thanksgiving from the Cal Surf crew! Happy Thanksgiving from the Cal Surf crew! We will be closed all day Thursday and will re open with regular hours on Friday and Saturday. 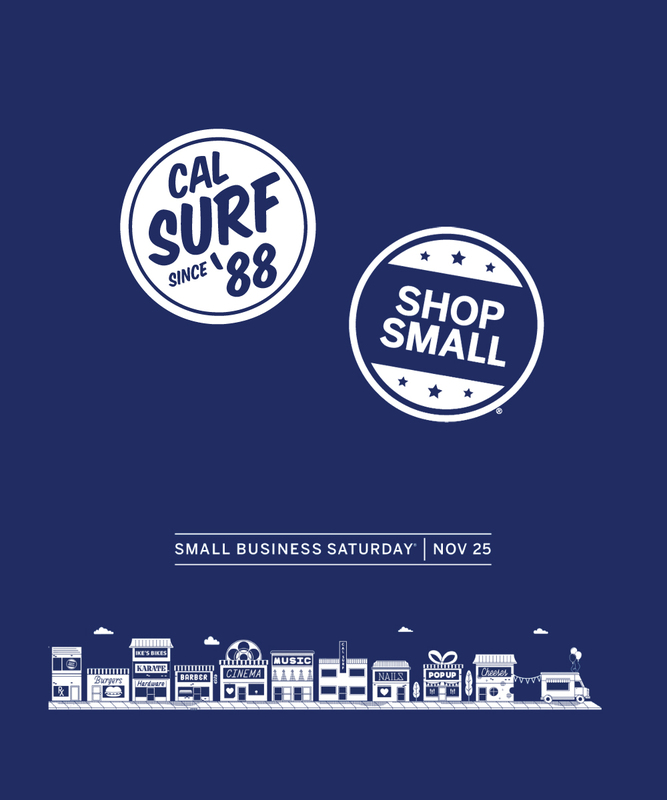 And make sure to support local business on Small Business Saturday. 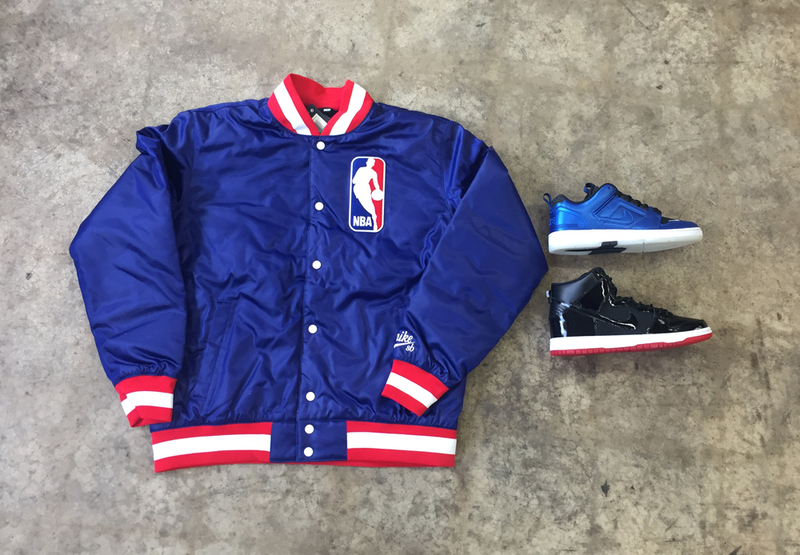 New Nike SB arrived this week including the "Rivals Pack" Dunk High & Air Force II Low all inspired by the Jordan and Penny Hardaway Rivalry, and also the NBA Jacket. 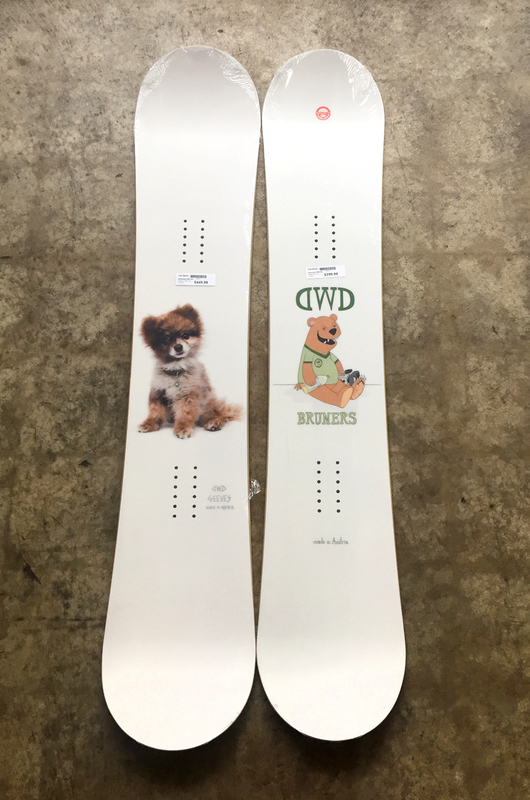 Support a snowboarder owned and operated brand by picking up a Dinosaurs Will Die snowboard, now in stock. 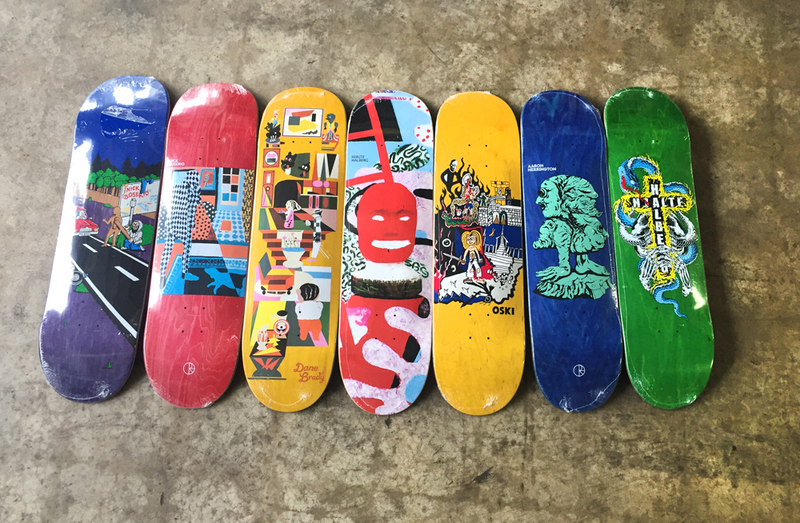 New decks in from Polar if your old board is busted.